MillerCoors brewed a beer for millennials. Here’s what it tastes like. The big beer companies are worried about how much you’re drinking. Beer sales were down 1.2 percent in the United States in 2017, according to industry publication Brewbound, citing sales data from retail provider IRI Worldwide. Sales of brands like Budweiser, Miller Lite, and Coors Lite slipped 2.9 percent in 2017, down more than $398 million. That’s in contrast to craft beer sales, which, according to the Brewers Association, a trade organization supporting small breweries, were up 8 percent last year. In an explicit effort to woo more millennials, MillerCoors has released Two Hats, a line of light beers specifically targeting the 21-to-24-year-old drinker. Enter Two Hats, a pair of light beers (4.2 percent ABV) made with lime and pineapple respectively and sold with the tag line, “Good Cheap Beer. Wait what?” The marketing plan partners with sites such as CollegeHumor and leverages platforms like Spotify, YouTube, and Snapchat. I sampled both Two Hats beers recently, coming in with what I thought were appropriate expectations: that this could be a beer I’d drink at a concert or a sporting event, from the can, when it finally gets warm out. If you’ve honed your palate on hoppy pales and funky saisons, the first thing you should know about the Two Hats beers — and the first thing I noticed — is that they’re watery. I’ve had cucumber-infused water in hotel lobbies with more depth of flavor. But the lack of heft works here. The brews smell fresh and fruity, and unlike Bud Light Lime, whose fruit flavor comes off as cloying and artificial (and to me, offensive), the lime and pineapple flavors in Two Hats taste natural and subtle. These are not the best beers you’ll ever drink — or even two of the better ones — but you probably won’t regret drinking them. 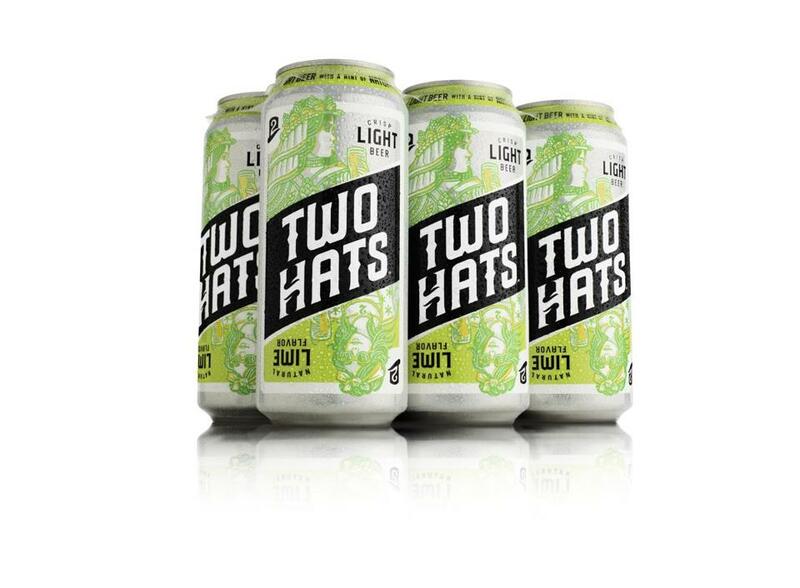 Two Hats is available now, in six-packs of tallboy cans for a suggested retail price of around $5.